Rev. Fr. Benjamin Henry MILLER of the Society of Jesus arrived in Sri Lanka, then Ceylon, on 4th September, 1948 just eight months after Sri Lanka celebrated its independence fromcolonial rule. He is an American citizen, born on 11th August, 1925 in New Orleans, Louisiana State in USA.It was spoken about him that the boy, Benjamin Henry Miller, was once chosen as the best “paper boy” of the year, for distributing paper, during cold winter, and hot summer. He joined the Jesuits on 14th August, 1443 and entered the novitiate at Grand Coteau. He completed his philosophical studies at Spring Hill College, Alabama and at the end of his studies it dawned on him to be a missionary in the east. He opted to serve in Sri Lanka as a Missionary in building up youth for the country as an educationist in St. Michael’s College,Batticaloa and in St. Joseph’s College,Trincomalee. He had his theological studies in De Nobili College, Pune from 1951 to 1955. After his ordination, as a priest of God and completing his tertianship in Kodaikanal from 1955 to 1956, he was at SMC again. He brought all his academic, administrative, and public relationship skills to improve education to the poor marginalized, backward minority groups in the Eastern province of Sri Lanka. Since his arrival he spent almost 67 years in Sri Lanka; during all this time he served as educator, priest, protector and witness of the marginalized. 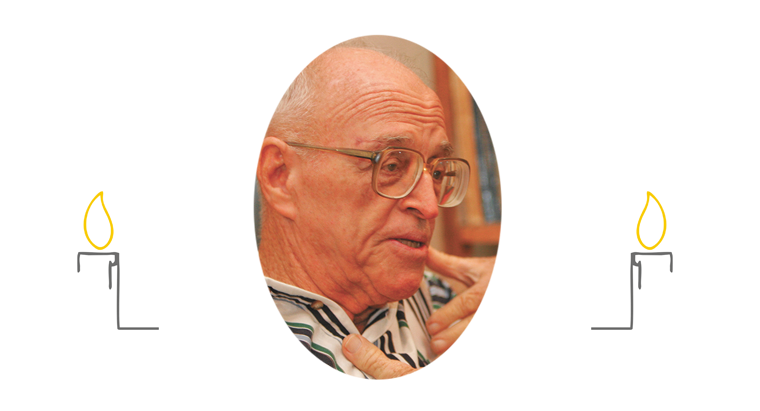 In his early years in Sri Lanka Fr Miller taught physics, English and history and coached the soccer team at St Michael’s College. From 1959 till 1970 he held the post of Rector of the same College. He learned the local language, Tamil and served as Parish Priest in some of the parishes in the Diocese of Batticaloa. Later when violence and war broke out in 1986, Fr Miller was one of the founders of the Batticaloa Peace Committee and the Batticaloa Council of Religions which took initiatives to find a peaceful solution to the ethnic conflict in Sri Lanka. In recognition of his non-partisan work, during the period of ceasefire in 2002 and until its breakdown, the Government of Sri Lanka appointed him to be its nominee for the Sri Lanka Monitoring Mission in Batticaloa. As the apex of his dedicated service to Sri Lanka the NATIONAL PEACE COUNCIL OF SRI LANKA awarded the YEAR’S CITIZENS’ PEACE AWARD to Fr Benjamin Henry Miller, Founder Member, Batticaloa Peace Committee on Saturday, November 8, 2014 in Batticaloa. In the last days of his life he confined himself to the Jesuit Residence, Batticaloa fighting every senile weakness and awaiting his total surrender to his Lord and Master which he realized on the first day of 2019 noticed by none.